The turnout in the early presidential elections in Kazakhstan at 16.00 has already surpassed the total turnout of citizens at the presidential elections of 2005 and amounts to 76,9%, said a member of the Central Election Commission Tatyana Okhlopkova. Morning of April 4 the CEC will announce the first preliminary results of the elections. The names of four candidates including today’s President Nursultan Nazarbayev are presented in the ballots. And there is no doubt that the winner will be the current leader of the country ruling for 20+ years already. It looks like the lesson of the recent revolutions in Tunisia and Egypt is not learned well. And the latest news. 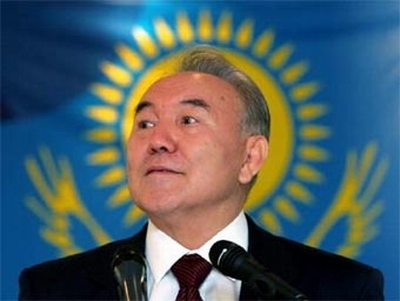 One of the candidates (the leader of ecological organization “Tabigat” Mels Eleusizov) voted for his opponent – Nursultan Nazarbayev because as he says Nazarbayev will be the winner of the elections. What a great candidate!